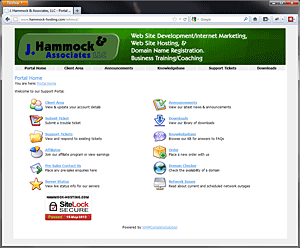 Six reasons to host your web site with Hammock Hosting. 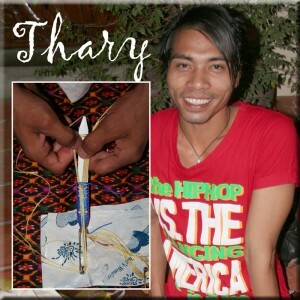 Thary, a young disabled entrepreneur in Cambodia, gets 10% of all hosting revenues. Rock solid Linux Server hosting with phenomenal uptime. Full featured control panel to manage your email, check web stats, one-click software installations, and much more. ( Demo cPanel by clicking on the CPANEL DEMO button.) This control panel is way easier to manage than those offered by many large hosting companies that throw countless upsells at you. You get me and access to nearly 20 years experience. 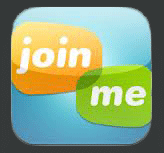 Sign up for our web hosting at www.hammock-hosting.com or click on the following screenshot for more details. Our network is comprised of two Cisco 6509s with 10G uplinks running at the core. The 6509’s are fully redundant and running iBGP and HSRP. If one fails, the other is able to take on the full load of the network. We have multiple gigE fiber optic (1000Mbit/s) connections from the worlds leading telecommunications companies. With multiple GigE connections, this allows for the high bandwidth that is required for even the most bandwidth intensive programs needed to stay competitive in the ever changing World Wide Web. We also have public and private peering agreements with over 400 ISPs all over the world. We get our IP transit Global Crossing, Mzima, Internap and PCCW via multiple gigabit fiber uplinks to our core routers/switches. If all but 1 provider fails, there is no change to our network, as we can serve our full client base with one provider, as we leave that much room on every connection. The core switches are connected to two separate distribution switches (2 cisco 3560-E 10G switches). From the distribution switches, we connect to an edge switch (Cisco 3500 series). Each cabinet is pre-wired and connected to our main distribution cabinet, so it’s plug and play. Each cabinet has it’s own switch, as we prefer a layer 2 switch in each cabinet. All of our servers are hooked up to APC remote reboot ports in the event that they lockup for any reason. All of the servers are protected by state-of-the-art hardware firewalls, where we have Cisco PIX for the network, as well as additional software firewalls for the servers. Everything is logged and routinely scanned by our system administrators. the downtown Los Angeles business district. Security to the building is 24/7 and you cannot get inside the elevator lobby without being on an Access List. If you do not have any form of identification, you will not be allowed to go into the elevator lobby. There are multiple cameras which record all the entering and exciting of the building. Security is tight. Once you pass through security, you will go up to the appropriate floor. Outside our suite, we have a a key card system as well as video monitoring. Everything is taped and recorded to a DVR. We record all points of entry to and from our suite as well as the datacenter itself. Within our datacenter, we have a NOC (Network Operations Center) and the doors to the datacenter are locked. You cannot go into the datacenter without special keys, even if you are in our suite, as the doors are locked from the inside. If you want to take any equipment out of the datacenter, it has to be signed off by our staff (property removal form) to ensure no property is ever taken without our consent.